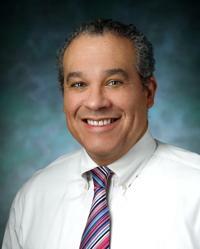 Cesar Torres, MD, is an attending physician with the MedStar House Call Program for the Washington, D.C. area. Dr. Torres is board certified in both Geriatrics and Family Practice. He received his undergraduate degree from Johns Hopkins University; completed the post-baccalaureate premedical program at Columbia University, and received his medical degree from the State University of New York, Health Science Center at Syracuse College of Medicine. His residency was with the George Washington University-Holy Cross Hospital Family Practice program, where he received the Society of Teachers of Family Medicine Award. Dr. Torres also completed a fellowship in Geriatric Medicine at the George Washington University Medical Center. Dr. Torres provided care as a family physician at the Upper Cardozo Community Health Center, Unity Health Care. He was a member of MedStar Physician Partners in Silver Spring, the predecessor to MedStar Medical Group, and also cared for patients at Kaiser Permanente. Dr. Torres is fluent in Spanish.